Size: 95% of our new titles are published in the standard trade paperback format of H8.5xW5.5 inches, or H216xW140 mm. We've published every conceivable kind of variation in the past, but for the market we’re aiming at, standard formats work best. There have to be very good reasons for doing something different. For example, it is one of a series in a different format, or you're a bestselling author whose previous titles have been in a different format. 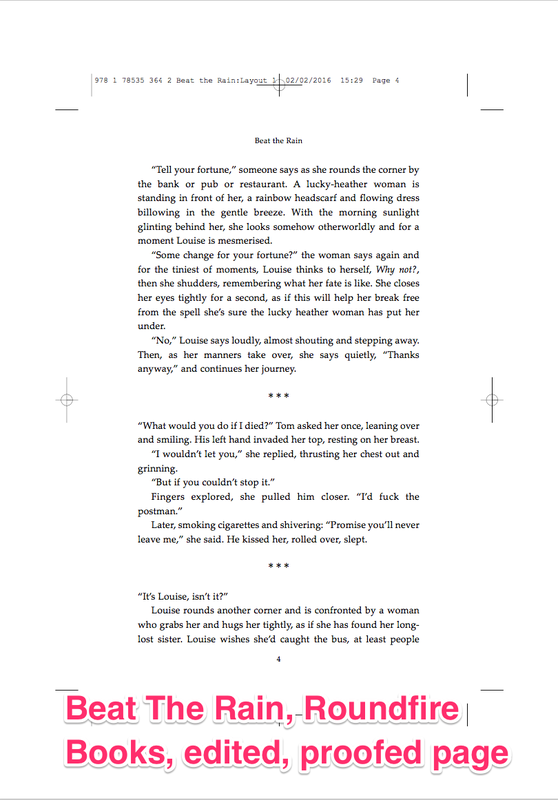 We do not publish paperbacks with flaps on the cover, or fold-out inside pages. Spine: We always have name and title on the spine. We do not prepare it, or the final cover, until the artwork and copy for the cover is finalized. Carton: Some major accounts, particularly non-traditional book ones in the USA, buy by carton quantity rather than units. Which is one reason why we cannot send out information on the book (page extent, number of copies per carton) till the files are finished. But as far as you are concerned, please order by number of units rather than carton. 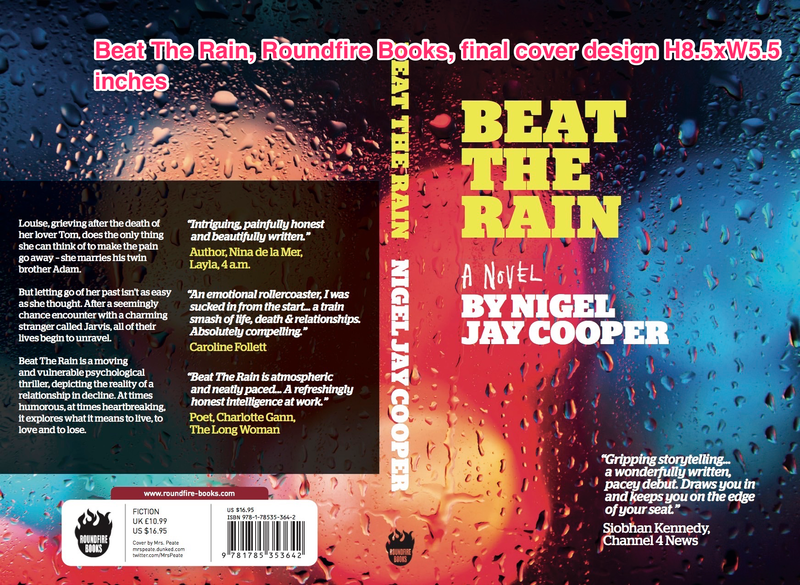 Cover finish: Our default cover finish is matt laminated (4/0 from compatible digital files on 240gsm 1-sided board). Matt is a little more expensive than gloss. It is the preference for most authors and retailers. Covers with special finishes, embossing, cut-outs etc. are only practical if you're already selling in the tens/hundreds of thousands. It means much longer print runs, at different printers in North America and the UK. Paper: Virtually all our books are printed on 60gm Enso Novel 112 mic in the UK, and 50# Cream/Natural Offset 450 PPI text (equivalent 72.5gsm) in North America. It is a "cream" paper rather than white, which most authors prefer, though it’s slightly more expensive. The cover is 12 Pt C1S cover stock in both cases. We cannot get into detailed conversations about paper weights and finish, binding etc. If you’re worried about our production standards, look at the website, buy a few books. That’s how yours should look. Occasionally standards slip, it depends in part on how much work has gone into the book, how many corrections there have been, how late it’s running in the schedule, where it’s being printed, whether it was published in the last year or two or earlier. Overall, our standards of production are good. Page extent: It does not matter if the page extent given in Book Details is not accurate. We are often a few pages out, depending on late revisions, later endorsements, revised editions, and unless it runs to dozens of pages, it is not worth changing. Page design: The text is Palatino Linotype size 10pt, subheads are 11pt bold. It’s roughly 250-350 words a page, depending on dialogue etc., 34 available lines. With longer books we may reduce the type size down to 9.5pt, particularly with fiction. Any smaller than that is getting a little hard to read for some. We use this because it is highly legible and at this size, and with various tweaks we have in the system in the letter spacing, it avoids hyphens. Plus an average of 11 words per line and the line spacing (leading) makes it flow better. Any more than 65 characters per line is hard on the eyes. Exceptions; The Our Street imprint is for younger children, and those titles, if illustrated, are designed separately. If not illustrated, we use 11pt. Lodestone Books; for mid-teens up to 18, we use 10.5pt. If you feel strongly about wanting something different make a note in the Stylesheet of the name of the typeface, the size and the leading. Distribution: This is an internal note to ourselves as a check on who the key distributors are – usually NBN for North America, and Orca for the UK and elsewhere in the English-language world. See Chapter 13 for more information on sales and ordering. Discount level: An internal note on the nature of the discount – almost always “T,” meaning “trade,” i.e. it is available to the bookshop trade everywhere in the world at their standard discount. Color: Paperbacks with color pictures are almost always impractical. For color throughout, it will multiply the cost and the retail price several times. It’s only necessary for high-volume books in areas like cookery and gardening. An inset section of color pictures can still double the cost of the production and the retail price. Hardbacks: We rarely publish hardbacks. Sales are almost always substantially lower. Bringing out a hardback and paperback at the same time confuses rather than helps, and divides by two your sales ranking on databases like Amazon. It is mostly "brand name" authors who get published first in hardback, and you would need to be with one of the Big Six publishers. Novelty books/card decks: We rarely publish these. In the past we have produced dozens, hundreds of various packs, children's novelty books, calendars etc., and there are still a few on the list, but it is not really our market any more. It is a specialist business, and you are either in it or not. Packs/sets we would still consider but only if your sales in ordinary books have sold in tens of thousands. If there is additional material to the book you would like to make available, selling it from your website is the best option. CDs: We have brought out a number of titles in the past with CDs attached to the cover, but no longer do. The reason why you don’t see more books with CDs is that it generally adds around $10 to the retail price (attaching the CD inside the book costs more than the CD itself). Often a preferable route is to advertise the CD in the book as being available through a website. Occasionally a CD is really helpful, or essential to the text. In that case hardback is usually preferable to paperback. They can be produced in paperback, but, particularly if the book is 160 pages or less, the weight tends to buckle the cover after a while. So you’re looking at a $30+ price rather than $20, and the book needs to be that much more valuable than the competition to stand the higher price. Books in color throughout, or with CDs, or both, are generally printed in the Far East rather than the USA or UK. Several months need to be added to the production schedule. Print runs need to be high, reprints are difficult, you really need to have sold 10,000–20,000+ books already to make it all worthwhile. Regretfully we can not distribute CDs separately for you – the warehouse does not handle them. Audiobooks: At present we do not publish them, but they are currently rising in popularity and increasing their percentage share of the market year on year, so we may look to include them in the future. They can be expensive to produce, particularly if professional actors are used, and in that case are really only worth the investment if your book is selling in the high thousands. You can produce one yourself it you want to, up to Audible’s standards, with a free audio-editing program called Audacity. Or you can record one yourself with the help of an app like Recordio https://www.authorsrepublic.com/creation, or you can go to a studio. There are also companies who will produce an audiobook for you. An author-recommended contact for audiobooks and podcasts is http://inneractivemedia.com/what-we-do/packages/ ; jeff@inneractivemedia.com. No need to check with us on the contract – our contract does not include them. Ebooks: We publish virtually every title as an ebook as well as in print, but there are possible complications. See the section on Ebooks in Chapter 8. Environmental policy: We are as eco-friendly as we can get. Publishing is one of the most eco-unfriendly businesses on the planet, in relation to size. Partly because it uses paper (though it is becoming less dependent on that as digital sales increase), but more significantly because of the transport involved in getting books from printer to warehouse to shops, back to warehouse, out again, often with sea journeys involved. It is one of the few businesses where shops take in stock "free," which encourages returns. Short-run printing: Ideally, we would like to print all titles in short runs on recycled paper, but the technology is not there yet at a viable cost. Short-run print technology is improving all the time though, and a few years down the road the vast majority of all titles are going to be printed that way (or in single copies, on the spot of purchase, according to demand). In the meantime, printing short run on FSC stock (Forest Stewardship Council), with no shipping, in hundreds according to demand rather than speculative thousands, is more planet-friendly than printing long-run on recycled and shipping half of it across the Atlantic. Certifications: We have been asked by authors before to add logo certifications to our books regarding the quality of paper used, but the agencies – unfortunately – make it rather complicated because we sell in so many markets. The certification groups don't allow multiple logos on the same book because the materials guidelines are different for each country we print for. Operationally, it gets too complicated and would add too many costs – the important thing for authors to know is that we are eco-friendly and expect that of our partners too. Color titles: Titles printed in color are not so fortunate; we can only print them in the Far East on glossy paper. Office ecology: Our ecological “footprint” in the central office is about as low as it’s possible to get. It is well insulated and the heat from computers is almost enough to keep it warm in the winter. No travel, no petrol. Cycling or walking to the office is more common than commuting by car. Paper goes to compost. We do have our disputes over the finer points, admittedly; some re-use teabags, others don’t. Overall though, we probably use less energy and produce less waste than the average nuclear family in the West.